As I said in my last week post, each year around this time I like to invite one or two of our newly ordained priests to share their experiences with you. 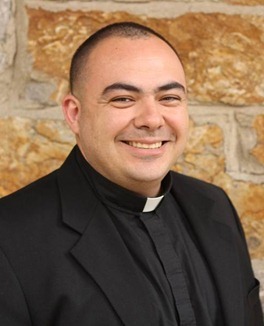 This week we have the reflections of Father Felipe Gonzalez who is serving his first assignment at the Cathedral of the Holy Cross. 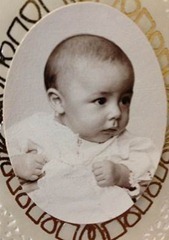 My name is Felipe de Jesus Salvador Gonzalez and I was born on March, 4th, 1978, in Tijuana, Baja California, Mexico. As I began to think about my experience of vocation and the priesthood, Psalm 117 kept coming to my mind: “O praise the Lord, all you nations, acclaim him, all you peoples! Strong is his love for us; for he is faithful forever.” I grew up in a very traditional Catholic family (my name says it all: in English it would be “Philip of Jesus the Savior”). I remember being in Church all the time. I recall the many processions we took part in as a family, the special rosary during the month of May with the coronation of Mary and the fun I used to have as an altar boy with my twin brother Chris and my little brother Angel. Reflecting on these years, I see that they were fundamental in planting the seed of God’s love that would accompany me throughout my life, even when I strayed from that love. I will mention a couple of crucial events of my life where, with faith, I see God’s hand was clearly guiding me toward Him. 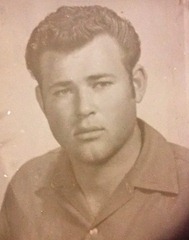 At the age of eleven I moved with my family to Bakersfield California. I realized at a young age that life was serious and difficult. As an immigrant I started working in the fields with my parents and I experienced discrimination and violence. As a child I could not understand the fights in my house due to the lack of food and money and I remember that I spent many sleepless nights asking God simply, Why? 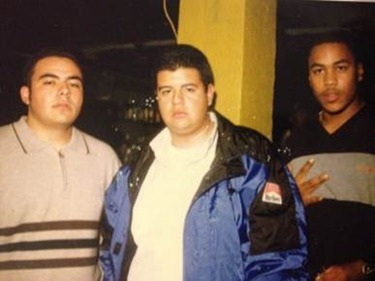 After some years my father found a job as a diesel mechanic and everything seemed better until one day, on September 23, 1993, my neighbor came to pick me up from Arvin High School saying that my father had been in an accident. When I arrived home I got the news that he had died in a car accident on his way to work. 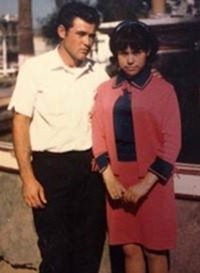 He was 46 years old and it was only one month before my parents’ 25th wedding anniversary. This event shattered my family. My mom suffered a lot and I knew she had no strength to help us. Many times I felt like an orphan and had no clue where to go or what to do. I became very angry with everything, and the first thing that I did was to leave the Church because I thought that there was no God. I began looking for comfort and searching for life in the wrong places. Then God intervened and searched me out with faithfulness and love. It was in this low moment of my life that a parishioner of Saint Augustine Parish in my hometown of Lamont, California invited me to come back to the Church. Reflecting on my life today, I see how good the Lord has been to me, because I see clearly how He opened a way of salvation by bringing me back to the Church. Little by little, I saw the malaise in which I was living was being conquered by life. I began to experience the love of God in a new dimension. In 1997, I had the opportunity to travel to Paris for World Youth Day. Pope John Paul II’s words to the young people were the catalyst for me to open myself up to the will of God: “Do not be afraid to follow Christ!” After hearing these words, I felt a strong call to dedicate my life as a missionary. I volunteered and was sent to Florida and to the Turks and Caicos Islands in the Caribbean. These were instrumental years in my discernment. I began to recognize the great need for priests to serve the Church, especially in the missions. This is what ultimately helped me to discover my vocation to the priesthood. 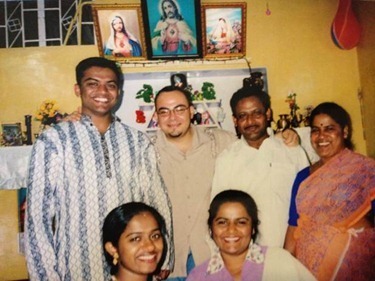 In 2002, I finally made the decision to enter the seminary and to discern the call that I had been hearing in my heart during my time as a missionary. In my preparation for the priesthood, God has brought me to London for 2 years and then to India for 4 years, and finally to Boston where I spent my last four years of seminary formation. 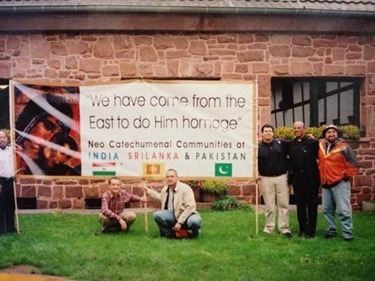 While in India I was part of the team responsible for the Neocatechumenal Way in Asia. The team was led by a Priest from Rome and in those years of mission I depended entirely on the providence of God. 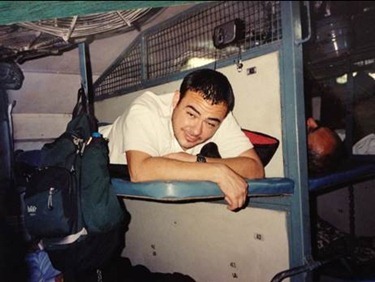 The Indian trains were quite an experience!!!!! 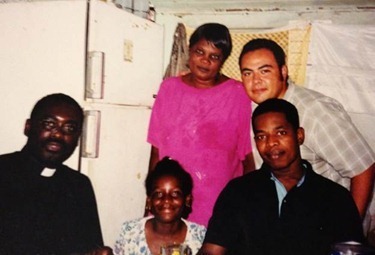 The time of mission transformed my life. I learned that happiness can only come from God. In the mission I discovered the Risen Christ, the one who gives me hope in times of trial. Then God brought me to Boston to finish my seminary formation. It has truly been a time of experiencing His goodness to me and seeing that he has a beautiful plan for my life as a priest. One moment sums this up for me and illustrates my point. 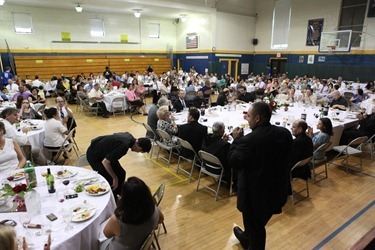 At the reception after my presbyteral ordination, I saw 250 of my guests in front of me from all over the country and the world and it was as if my entire life was laid out before my eyes. I was impacted by the realization that God, through each and every one of them, has lead me to him and to where I am today with the hope that he will continue to take me to holiness. Today I can say that God as the Creator, makes a masterpiece of each of our lives. I believe the passage from Ezekiel 34 best describes what God has done for me, “I myself shall pasture my sheep, I myself shall give them rest. I shall look for the lost one, bring back the stray, bandage the injured and make the sick strong. I shall watch over the fat and healthy. I shall be a true shepherd to them.” If I were to describe how God has acted in my life, I would say that Ezekiel’s words would be most fitting. When I was invited as a young man to come back to the Church, it was through the Neocatechumenal Way that God worked for my conversion. 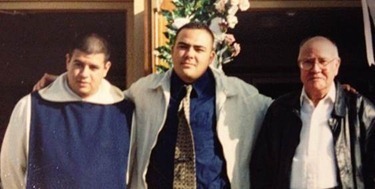 It was within my community in the Neocatechumenal Way that I discovered my vocation and eventually entered the Redemptoris Mater Seminary. (Redemptoris Mater is Latin for "Mother of the Redeemer.") Redemptoris Mater Seminaries are a fruit of the Second Vatican Council and an inspiration of the Blessed Pope John Paul II. The Council Fathers spoke of the need to prepare international seminaries to prepare clergy to be sent anywhere in the world that there was a need. Redemptoris Mater Seminaries prepare priests for the New Evangelization by providing them with a formation that is both diocesan and missionary. Blessed Pope John Paul II established the first Redemptoris Mater Seminary in the Diocese of Rome in 1987. Since then, Redemptoris Mater Seminaries have been opened in 87 dioceses on six continents. Here in the United States, there are Redemptoris Mater Seminaries in Boston, Dallas, Denver, Miami, Newark, Washington D.C. and the territory of Guam. 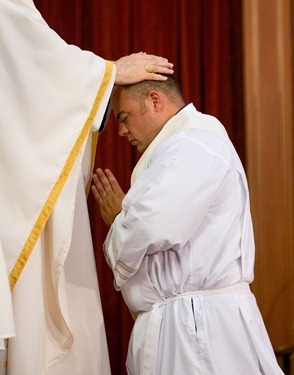 Since my ordination to the Priesthood on June 23rd, I have not ceased thanking God for the gift and mystery of my vocation. The joy I have experienced in these first few weeks as a priest has been overwhelming. I have been blessed with a great first assignment as Parochial Vicar at the Cathedral of the Holy Cross. It’s been a huge transition for me, but with God’s grace and the support of the priests in the rectory I have made the adjustment to parish life and I look forward to serving the people of this community. I’ve already had wonderful experiences where I have witnessed the power of the Holy Spirit working through my priesthood. My greatest hope as a priest is that I may be faithful to what I have received in my formation as a Christian and as a priest. 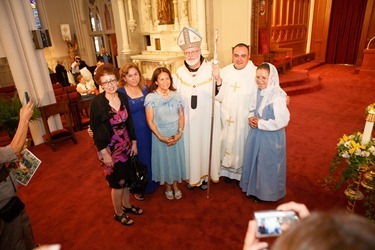 I am grateful to my family and friends for their love and support, and to my parish communities in Lamont, California and at St. Tarcisius Parish in Framingham for their prayers and encouragement. 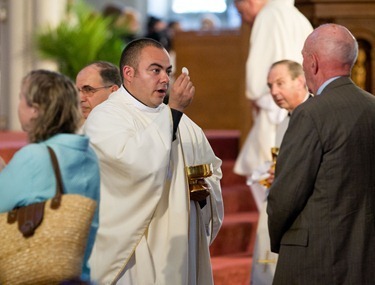 As I look forward to my life as a priest of the Archdiocese of Boston, I pray that my priestly ministry will reflect the love and mercy of Jesus Christ, the Good Shepherd, who seeks out the lost sheep and brings healing to those who are injured. I count on your prayers for me and for my classmates!